Filmmaker and author of the book 'Singapore Cinema' Raphael Millet has the answer to who and what were the first ever films made in Singapore. 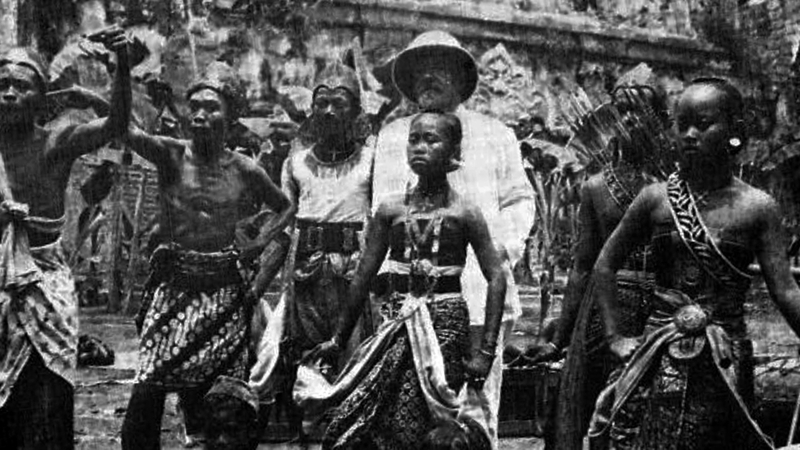 In 1912-1913, while his brother Georges Méliès was still filming “imaginary trips” in his Parisian studio, Gaston Méliès undertook a ten-month long trip around Asia-Pacific, taking him with a team of about 15 collaborators from San Francisco, to Polynesia, New Zealand, Australia, Java, Singapore, Cambodia, and Japan. 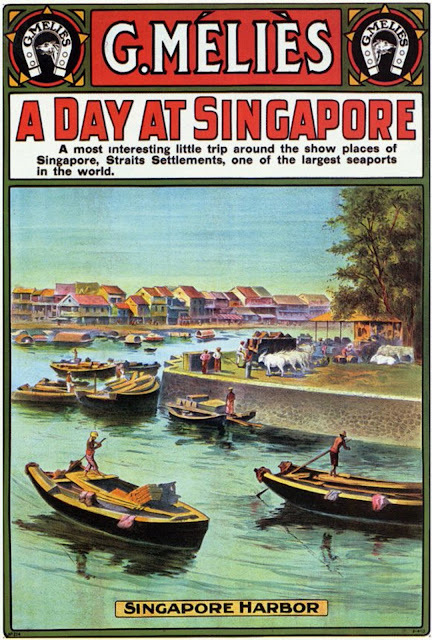 During this cinematographic adventure, he produced no less than 64 fiction and non-fiction movies, including some of the first ever films shot in Singapore (where he arrived on 10 January 1913 and stayed three weeks). Among his “Singaporean” movies are two fictions, The Poisoned Darts filmed in Pasir Ris, and His Chinese Friend filmed , as well as what was then called a “scenic” (or "educational picture") titled A Day at Singapore. Moreover, Gaston Méliès was most likely one of the first filmmakers, if not the first, to give fiction roles to Tahitians, Maoris, Aborigines, Javanese, Malays and Cambodians. He did not return to the USA but travelled straight back from Japan to France, where he died shortly after, in 1915, quickly falling into oblivion, as the world was engulfed in World War I. 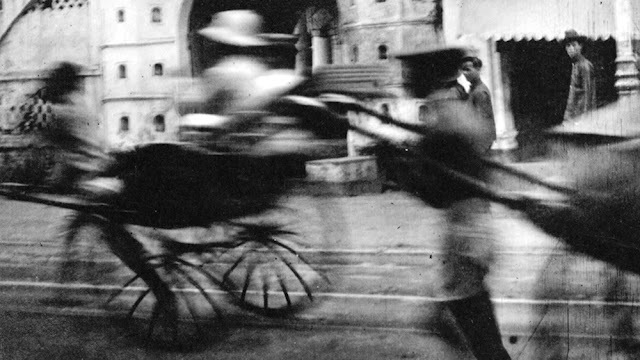 On the occasion of the centenary of his death, a tribute is paid to this long-forgotten pioneer of the last days of early cinema, while taking the few surviving images of his voyage as an opportunity to reflect upon questions of alterity, identity and representation. Raphael made a documentary on this called 'Georges Méliès and his wandering Star Film Company', which will be screened at SGIFF on 5 Dec, Sat, 7pm at the National Art Gallery. Here is our interview with Raphael. What inspired you to pick Gaston Melies as the subject of the film? My curiosity was first tickled when in 2000, while going to Polynesia for the first time; I read a book about the history of film in South Pacific. 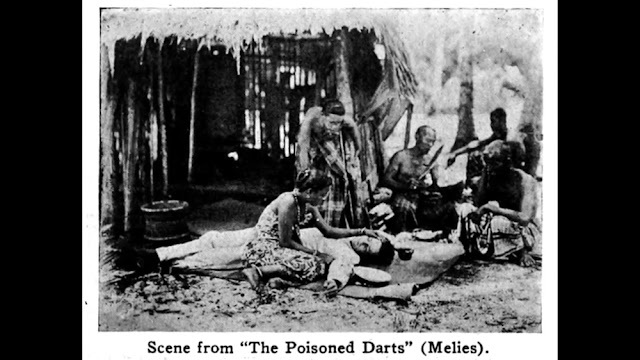 In a footnote, there was a very short and vague mention that some "G. Méliès" had filmed in Tahiti in the 1910s. Really who was this G. Méliès? Was the G initial for Georges Méliès? But I knew the famous filmmaker, often referred to as the "Cinemagician", world renowned for his 1902 Trip to the Moon and his many other "imaginary trips"; had hardly ever left his Montreuil studio, near Paris... And, unlike the Lumière brothers, he, as far as I knew, had not sent any cinematographer around the world to collect footage from distant and - to the western eye - exotic places. But I left it there. Two years after the publication of my book, I encountered another vague mention about "G. Méliès", regarding Japan. This time, I decided I would get to the bottom of it. Was this "G" standing for Georges or for Gaston? Or perhaps even for someone else? So while I was back in Paris, I contacted the Méliès family. Madeleine Malthête-Méliès, granddaughter of Georges Méliès, kindly told me she had devoted her life to the "Cinemagician", and that to find out more about Gaston, I should now speak to her own son, Jacques Malthête-Méliès, the only one in the family who had sort of kept a record of Gaston's life and works. To my great surprise, I learned from Jacques that Gaston had been sent to the USA first to protect the copyright of the Méliès trademark (known as the "Star Film"), had then started producing his own American movies in the late 1900s (including some of the early Westerns! ), before finally embarking on a round-the-world trip that did not take him all around the world (that was too long! ), but that took him all around Asia-Pacific. Gaston was the one who had been to Polynesia, Singapore and other places. But this trip to the South Seas, Southeast Asia and the Far East had largely sunk into oblivion, and apart from Jacques Malthête-Méliès great grandson of Georges, hence great-nephew of Gaston, almost nobody knew anything about it. Furthermore, a century later, the confusion was easily made between the two brothers, because Georges and Gaston had obviously used the initial "G" has it could stand for either one of them. With all this information in hand, I started finding Gaston's life more and more fascinating and particularly his cinematic journey across Asia-Pacific. And I thought there might be a nice and interesting story to tell. This time, I opted not for a book, but for a documentary, as I had slowly moved from writing books about cinema to producing and directing documentaries about the history of film. One important thing to note is that Gaston Méliès called himself a "film manufacturer". This made him more of a producer than a director. It was the early studio approach, where only the studio name mattered: people spoke of "a Gaumont film", "an Essanay movie", "a Vitagraph film", etc. This was true of Méliès in the USA, and during the voyage around Asia-Pacific. 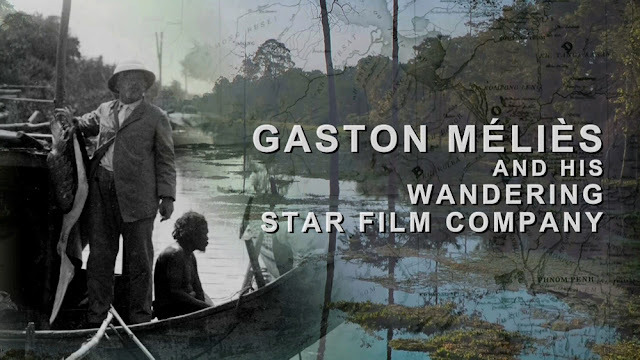 The movies made are "Méliès movies", but Gaston did not necessarily direct them himself, even though he seems to have had a hand in many things. As a film manufacturer, he travelled with what the press called "a complete cinematograph outfit", and the truth is that he had with him a director for fiction (Bertram Bracken) whom he rather quickly got rid of as soon as he reached New Zealand, but also someone named Hugh McClung, first labelled as "dramatic operator", who progressively took over the directing. But as I said, Gaston had a direct hand in many things, and he is obviously very involved in all aspects of the movies he "manufactures". Where did you get the archival footage from? What challenges did your team face in collecting sufficient and credible information? Apart from one of Gaston's movies shot in Japan which was preciously kept by the Méliès family (but it had never been digitized, so I had to get it done myself at Eclair studio in France, and pay for it), together with some photographs that Jacques Malthête-Méliès had salvaged from the destruction of time, there was nothing much. In early 2012, I got contacted by a film collector based in Switzerland, David Pfluger, who had somehow found out about my documentary project. I am most grateful to him for having made contact and offered me to use his rather large collection of photographs and other documents about Gaston's journey that he had managed to gather over the years. Not all film collectors that I know are as generous as David Pfluger, I must say. This was really fantastic, and, as you will see in the documentary, all photos, old newspaper clippings, letters, etc., are much needed to put together a proper narration. But what I really wanted was to find more movies! So I started digging through film archives around the world, from Amsterdam to Wellington, from Washington to Paris, from London to Canberra, from Roma to Tokyo, etc. I wrote and phoned everywhere I could. I even travelled to Wellington to see with my own eyes some mysterious footage that the New Zealand Film Archive had and thought could be attributed to Gaston Méliès. The print was had gone through a lot of degradation, and sometimes it was hard to really figure out what it was. But, in all honesty, I had to tell the NZFA that I really did not think this was some Méliès' footage, based on the style of shooting, but also based on the film perforations and a few other technical details. In the end, I was lucky enough to find two movies at the Library of Congress in Washington. But here again, they had never been digitized, so I had to request for it to be done. Among these was the first movie of the trip, shot between San Francisco and Tahiti! A gem! Then, I got lucky again with the Cinémathèque française. When I had first approached the Cinémathèque in 2011 and 2012, the Archive Department had replied that they did not have any copy of Gaston's films. But I tried again in 2014, and, to my great delight, two prints had surfaced during the new inventory process undertaken by the Cinémathèque. Both prints were fragments of movies shot in Angkor Wat. In total, I have "only" found 5 surviving movies out of the 64 films made by Gaston Méliès during his voyage. This is very little. Just 7% of what he had produced. But the truth is that this is in line with the "survival rate" of silent films. 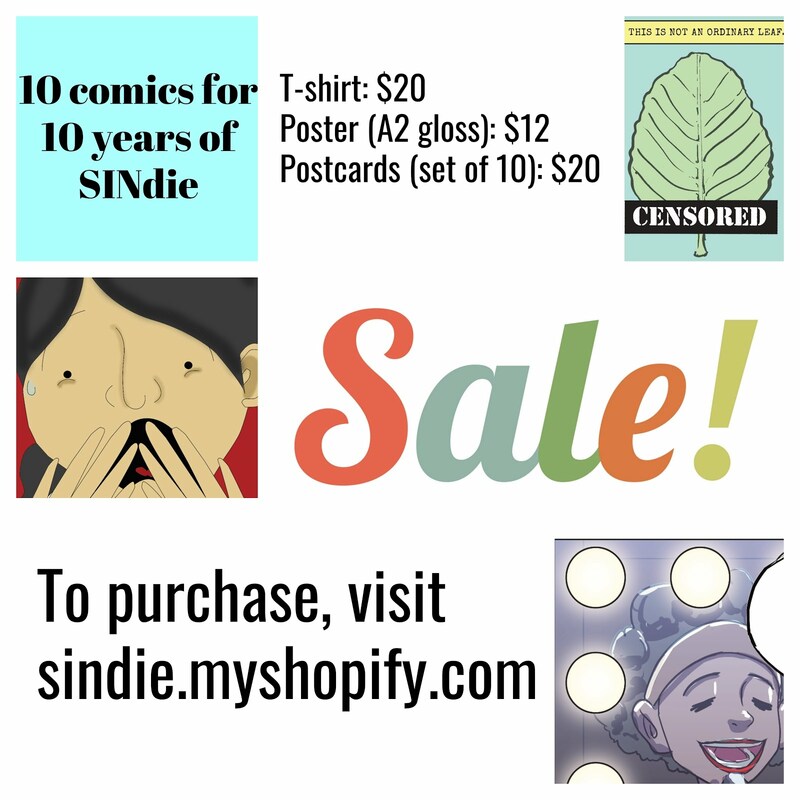 This is what is commonly known as "silent film loss". Film historians tend to agree that almost 90% of all movies made prior to 1929 are lost. Gaston Méliès' productions are no exception, unfortunately. Regarding Singapore, I have not found any surviving footage of the four films that Gaston Méliès had shot on the island. This is one of my main regrets. But my hope is that this documentary will revive interest about him, and perhaps help public archives and private collectors look into what they have and find some old "G. Méliès" print that they had overlooked. It always happens with lost films. Some resurface, when and where you least expect it. And if a print of his "shot-in-Singapore" movies reappeared, this would be incredible, and would constitute a remarkable piece of shared film heritage between France and Singapore. I'd be thrilled. 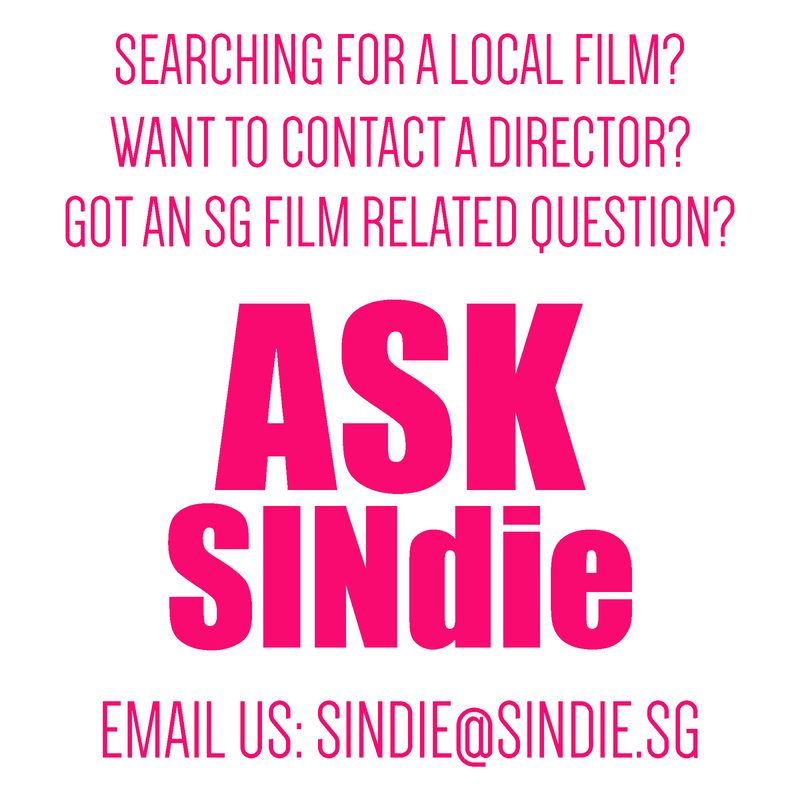 What were some of the most surprising or unexpected trivia you unearthed about Singapore as you made the film? Or about any other countries? What I found most interesting about Singapore in Gaston Méliès' trip is that, based on what he wrote in his letters to his son Paul who had remained in the USA, is that, compared to some of the other places he visited like Java and Cambodia, it seemed to him to be a very developed and modern city (even though he did not find Singapore to have very good hotels...). But it was definitely a major city on the map, bustling, with a busy harbor. A good place from where to wire instructions and organize the rest of his trip, but also a place where to process some of the reels shot in Java, and hire new crew members. What's important to note is also that Gaston Méliès was possibly the first major film producer to come to Singapore with such a large "cinematograph outfit", and the first to film fiction on location, with local people. Indeed, not only did he film His Chinese Friend in town, apparently in Chinatown and in the harbor’s vicinity. But he also went all the way out to Pasir Ris, a rather remote place in those days, to film The Poisoned Darts, story of a shipwreck and with sailors rescued by some local inhabitants, most likely, as shown on the only surviving photograph, some Malay people form the nearby kampong. Involving the locals in his filming, and giving them real roles on screen, would have been very much in the manner of Gaston. Indeed, this is something he had started doing right from the start of his trip, as soon as he had arrived in Tahiti. He had kept his western actors, traveling with him, for the white roles, while trying to get the locals to play the local parts. In doing so, he was quite a pioneer, moving away from what was then the most common thing to do: have poorly made-up white actors play the roles of Blacks, Asians, Indians, etc. Something Hollywood would go on doing for decades, and sometimes still does. Gaston Méliès was smarter than that and understood that having real Polynesians, Maoris, Aborigines, Malays, Cambodians, etc., play on screen would be quite a novelty. And for this, credit must be given to him. The truth is that he even found most of his white actors rather lousy, and progressively got rid of most of them, sending them back to the USA on the next ship, and retaining only a handful of them til the end of his trip. He felt there was something more "natural" or "spontaneous" in what local "actors" (even though inexperienced, for most of them) brought to the screen. What parallels do you draw between Gaston as a director in 1912 and you as a director in 2015? What's different? Following in the footsteps of Gaston Méliès, tracing his journey by going where he had gone, and filming where he had filmed, helped me understand better what he did. But it was no easy thing to do, even though, unlike him who traveled by sea, I traveled by air. Still, one hundred years later, his journey was not an easy one to replicate. I had to travel to Polynesia, New Zealand and Australia with my director of photography and all our equipment. We were lucky enough to have been provided some very high quality lenses by a French company called Angénieux that produces some of the best movie lenses in the world. But having these lenses with us was a challenge too, as they require very fine adjustments and meticulous handling. Also, they are extremely costly, and we were always afraid something would happen to them. 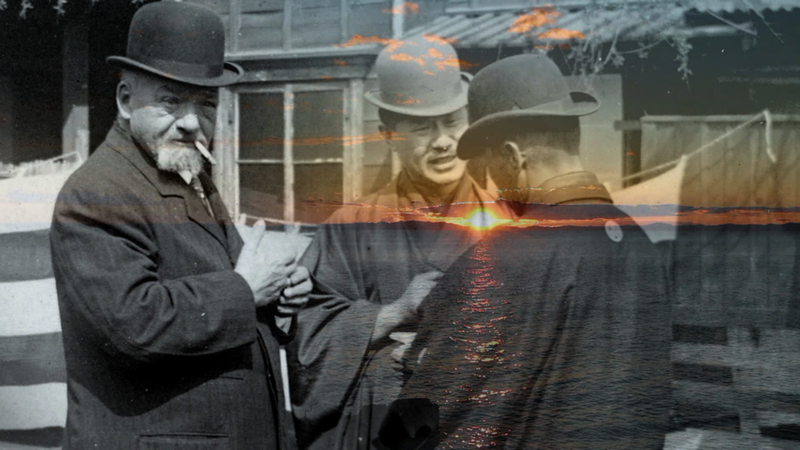 For the rest of the trip, I filmed on my own, in Java, Singapore, Cambodia, Japan, and even in Corsica (where the film ends, as this is where Gaston Méliès' life ended, shortly after he had end his trip around Asia-Pacific and come back to France). Planning the flights, the hotels, finding the exact places where he had been (I even found the exact beach where he filmed in Polynesia), all of this was quite a challenge. At the end of it, I admire Gaston Méliès even more for what he did and achieved. After all, in 1912-1913, undertaking such a 10-month long trip meant jumping from ocean liners to sampans, from trains to horse carriages, from oxcarts to rickshaws, while carrying heavy loads of equipment... And Gaston Méliès was not that young anymore. He was sixty years old. The trip exhausted him. This was his last cinematic adventure, the swansong of his career. How was it like editing this film? Was it challenging and what were the challenges? Editing was, as in most movies, one of the most exciting and most challenging parts of the creative process. I love editing, and I worked very closely Bertrand Amiot, an editor that I have been collaborating with for a few years, now. We isolated ourselves in a small village in the South of France, in Provence, and spent about five editing, and nothing else. It was perfect. And it was important to give much attention to the editing, as we had a lot of archival materials (footage, photographs, newspaper clippings, old maps from the 1910s, and so on) to pair with the contemporary images I had shot to complement Méliès' works (and fil the gaps). The final stages of post-production, such as colour grading and sound mix, were done in Paris, at Canal+'s facilities, as the TV channel that we partnered with for this documentary is called Ciné+, and is part of the greater Canal+ Group. This allowed me to really fine tune the colour and the sound of my film. And even though Gaston Méliès and His Wandering Star Film Company may look very classic in its form, a lot of work went into it, precisely to achieve this "classic" and "very clean" look. The reason being that what mattered to me was really to put Gaston Méliès' life and works first, and give him a chance to be "rediscovered" by modern audiences. This is also why, Bertrand Amiot - the editor - and myself, we adopted the following protocol when showing Gaston's own footage shot during his journey: we tried, as much as we could, to show, at first the footage in its original screen format, or aspect ratio, and speed so as to reinstitute it or display in its original form. And then, it's only once that was done, that we would zoom into it and eventually slow it down, in order to highlight a detail, and in doing so we would occasionally move into a more modern wide screen format, in order to also give it a chance to be treated and seen as images of today, and give the whole thing a different force and impact. This was enhanced by the music score composed by a Singaporean musician whom I have been working with for a few years, on my previous documentaries and a few other video projects. His name is Teo Wei Yong, and he really does a fantastic job. Two of his tracks have been used as the main themes, helping to connect different parts of the documentary, giving the feeling that we are travelling, with a touch of melancholy mood. It gives some sort of musical structure to the whole thing. And at the same time, I have decided, within each geographical segment, to use one specific track, thus giving each segment a special tone. Therefore, there's both great musical diversity, and solid unifying musical structure. In doing all of this, my overall aim was to give the avid cinephile a chance to experience these images a bit like in 1913, and a bit like now.